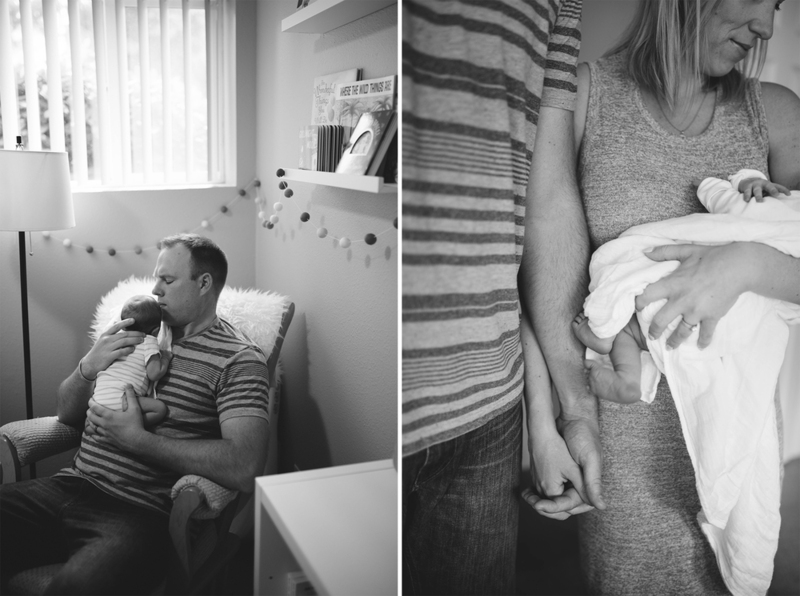 Part of the fun for me photographing newborns in their home is that I get to see so many adorable nurseries. Connor’s nursery is absolutely perfect – every little detail was well thought out and created with love. This lucky little boy even has a pair of his dad’s Nike shoes from when he was a baby! Although I might be biased, I loved his little WSU beanie too! There is an overwhelming amount of cuteness and love in this house. Lonnie and Ben add to the cutness with their calm parenting ways. (Remember just how cute these two were in their maternity photos?!) They are naturals with Connor and they already make him smile all the time. As always, my heart felt so full after our session.